Zen is completely NET NEUTRAL. Browse any website you want. Zen can send you free recharge. It is EASY and SIMPLE to use Zen. Use Zen to browse your favorite websites on mobile data. After you use enough mobile data, Zen will instantly send recharge for all the data you used. Note: Zen Browser only gives you free data when you are on a cellular connection. It won’t work on WiFi. How to Free Mobile Recharge with Zen Browser App? Download Zen Browser Android app. Enter Mobile number and verify OTP. • Browse normally on your favorite websites. • Zen automatically sends free recharge to your phone! ✔ Get free recharge: Browse your favorite websites and Zen automatically sends free recharge to your mobile phone. ✔ Unlimited recharges: Use Zen to get unlimited recharge. The more you browse in Zen, the more free recharge you get! ✔ Net neutral: Browse ANY website on the internet and get free recharge. ✔ Facebook View: Zen is the best browser for Facebook. Get free recharge for using Facebook. Looks just like the app! 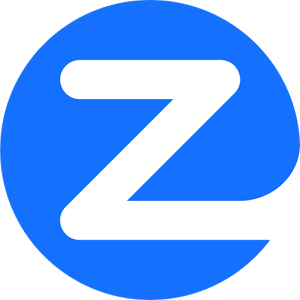 ✔ Small size: Zen Browser app size is small and lightweight – less than 5MB. ★ Downloads: Download files and immediately find every file you’ve downloaded. ★ Instant Search Results: Revisit previously browsed or most visited sites that instantly reappear in the search results as you type. ★ Favorites Shortcuts: Quickly access your favorite sites, social networks, news, and shopping with one tap! ★ Videos: View your favorite videos with full-screen. ★ Bookmarks: Bookmark your favorite websites for later access and fast browsing. ★ AdBlock: Zen will block out most annoying ads on popular sites. It will speed up your browsing and save data. ★ History: Easily access all previously visited websites. Remove individual websites or clear all.